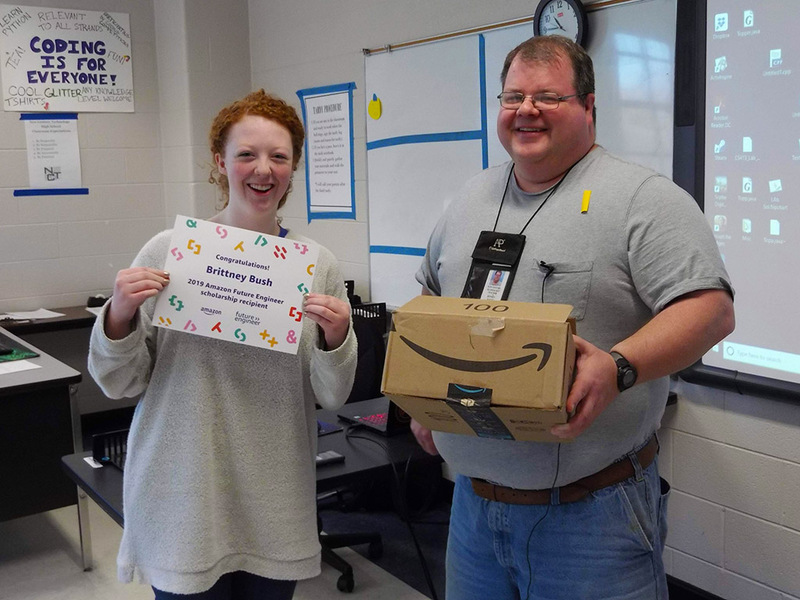 Brittney Bush, a senior at New Century Technology High School, has been selected as a 2019 Amazon Future Engineer Scholarship winner. Brittney was surprised by her computer science teacher, Jeffrey Baker, during class this past week. 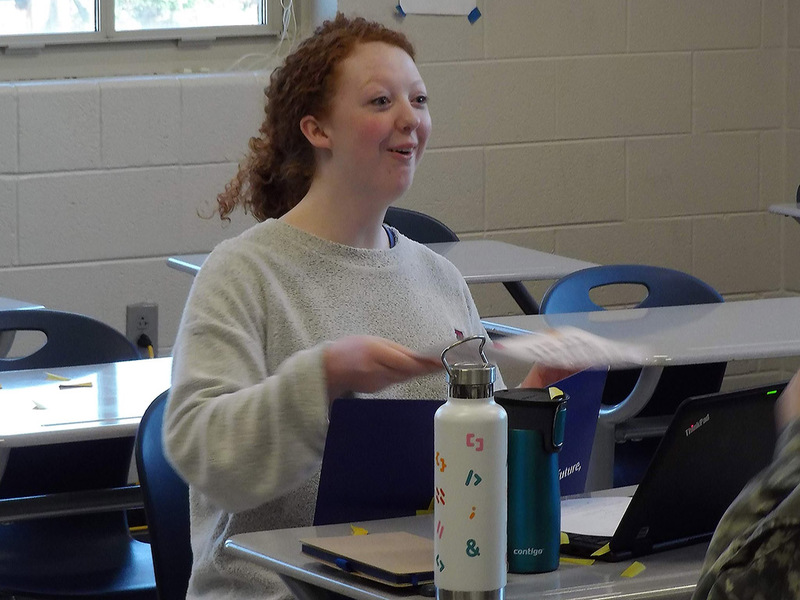 She is one of only 100 winners from 32 states across the country who will receive scholarships of $10,000 per year over the next four years to study computer science at the college of their choice. Each of the students will also receive a paid internship offer at Amazon to give them valuable work experience. Brittney said she had just received acceptance letters from both Georgia Tech and Vanderbilt, and the scholarship will make it possible for her to attend, although she still has not decided on which of the schools she will select. Brittney has a career goal of becoming a computer scientist but is fascinated by linguistics and may choose to develop new translation software to help people communicate in different languages. 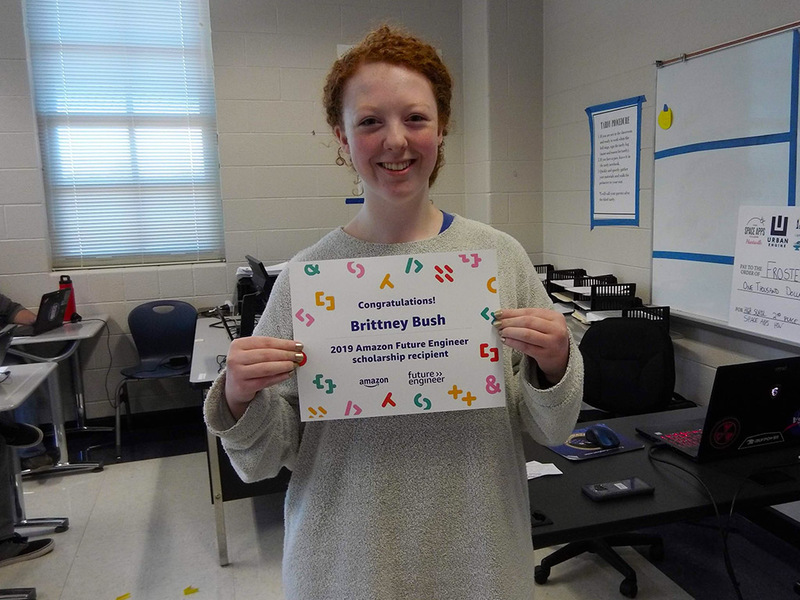 Her teacher, Jeffrey Baker, said that what makes Brittney an exceptional student is that she goes above and beyond what she does in the classroom. Amazon states that the 100 scholarship winners were selected for not only their academic achievements, but their leadership skills, work experience, participation in school and community projects, and their future goals. The Amazon Future Engineer initiative is a part of the company’s $50 million investment in computer science and STEM education. The goal is to motivate students to pursue careers in the accelerated field of computer science.